Copley Square is the bustling center of Boston's Back Bay District. There are six hotels in the immediate vicinity of Copley Square. The historic Fairmont Copley Plaza occupies the south side of Copley Square, and is the most luxurious hotel in the area. Copley Place, a retail shopping and office complex, hosts the Westin Copley Place and the Marriott Copley Place hotels. 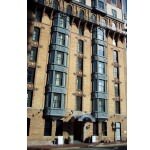 There are two popular boutique hotels near Copley Square, the Lenox Hotel on Boylston Street and the Copley Square Hotel on Huntington Avenue. Also, there is a Courtyard Marriott on Exeter Street for budget-conscious visitors of the city. The Back Bay District in Boston consists of higher income residential homes on its north side, and many retail stores on Newbury and Boylston Streets on the south side. The streets that intersect Boylston and Newbury Streets are lettered alphabetically from A to H, from Arlington Street to Hereford Street. Copley Square is the heart of the Back Bay District at Dartmouth Street, with many people staying at the nearby hotels, or taking the MBTA subway Green Line Trams to Copley Square and then walking east or westward after leaving the station. Near Copley Square are the Copley Place and Prudential Center shopping malls, Newbury Street, and the Hynes Convention Center. The Square is known for two major events each year; during the First Night celebration on New Year's eve each year there are normally ice sculptures and entertainment in the Square, and during April the Boston Marathon finish line is located just west of the square on Boylston Street. About lodging near Copley Square, the Fairmont Copley Plaza is the most luxurious hotel. Constructed in 1912, this elegant hotel has hosted many famous guests, and is known for its beautifully decorated lobby and bar. The architecture of the hotel matches that of the Boston Public Library McKim building, which is located just across Dartmouth Street. There are two historic gold painted lion sculptures that are posted at the St. James Avenue entrance of the Copley Plaza, that were relocated from a building on Boylston Street that was torn down in the 1970s. Just outside the Copley Plaza is Trinity Church, and a park. During summer, a farmer's market is held daily in the Square, a lot of local people eat their lunch in the park or even picnic. The Copley Place complex opened in 1983, and is where the Westin and Marriott hotels are located. These hotels occupy high-rise buildings and offer nice views of the Back Bay and Charles River. Glass-enclosed walkways allow hotel guests and shoppers to stroll through the complex, but also connect to the Prudential Center. Shoppers in winter can literally shop, dine, find retail services, and never go outside all day. One block west of Copley Square is Exeter Street, where two very popular upscale boutique hotels are located. At the intersection with Boylston Street is the Lenox Hotel, and at the Huntington Avenue end of the block is the Copley Square Hotel. Both of these boutique hotels are known for their superb service. 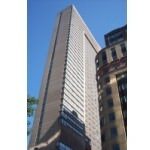 If you are on a tight budget but want to stay near Copley Square, there is a Courtyard Marriott on Exeter Street adjacent to the Copley Square Hotel. 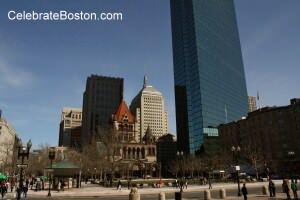 If you are tourist or traveling on business to Boston, Copley Square is a nice area for booking a hotel. The vehicle traffic is a bit better than the downtown districts, and there are more open spaces compared to other parts of central Boston. Access to the subway is just one block north at Boylston Street, and there are several parking garages in the area, albeit very expensive like most garages in the city. 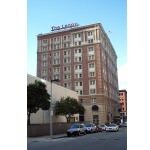 The Copley Plaza Hotel is the most luxurious, with the Lenox and Copley Square hotels are known for their great service. The Westin and Marriott hotels are modern high-rises.